Pricing and location details on request. Erie Islands Sailing School is dedicated to promoting sailing education through a series of standards developed by the ASA beginning with the Basic Keelboat (ASA 101) followed by Basic Coastal Cruising (ASA 103), Bareboat Chartering (ASA 104), Coastal Navigation (ASA 105) and Advanced Coastal Cruising (ASA 106) certifications. 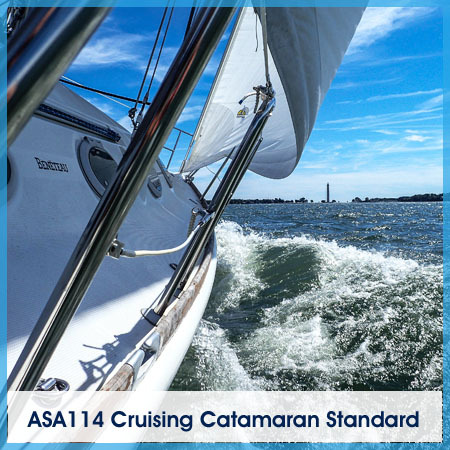 In addition we offer the Catamaran Cruising (ASA 114) and Docking (ASA 118) endorsements. In addition to ASA Certification classes, we also offer private lessons, new boat owner orientation, charters, sunset cruises and team building events. All Instructors with Erie Islands Sailing School hold US Coast Guard Captain's licenses and are Certified Sailing Instructors with the American Sailing Association.